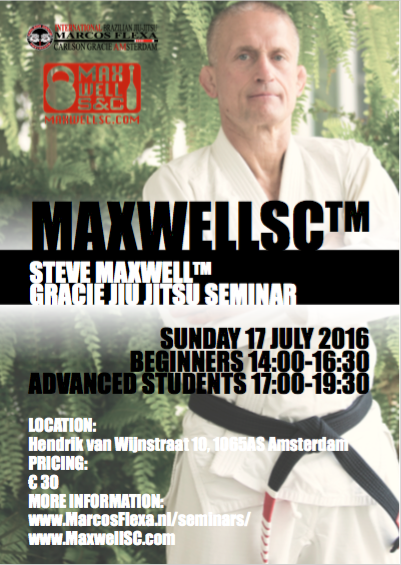 Carlson Gracie Amsterdam is proud to host a seminar with Steve Maxwell, one of the world’s most respected strength & conditioning coaches and a Brazilian Jiu Jitsu Black Belt (5th degree). In this seminar, Maxwell will share his unique take on the system of street self-defense, as taught to him by various members of the Gracie Family. Most importantly, his legendary teacher Relson Gracie – one of the family’s experts on Vale Tudo (no-rules fighting). Steve Maxwell (1952) is a physical educator, fitness innovator, former NCAA Division 1 Wrestler and Brazilian Jiu Jitsu Black Belt. Maxwell has been involved with physical culture for over half a century. He holds a Master’s Degree in Exercise Science from West Chester University of Pennsylvania, and was the first American to be awarded the rank of Black Belt under Relson Gracie. For well over a decade he ran Maxcersise in Philadelphia, the first certified Brazilian Jiu Jitsu school on the East Coast of the United States. There, he was also the first coach to teach regular kettlebell classes. He has served as a strength & conditioning coach for several world champions, and has worked with many US law enforcement agencies (DEA, Secret Service, FBI). For the last couple of years Steve has been living a nomadic lifestyle, travelling the world teaching classes on Brazilian Jiu Jitsu, kettlebells, joint mobility and bodyweight training. He has a wealth of knowledge to share. Join us for a fantastic seminar! Payment info to follow soon. 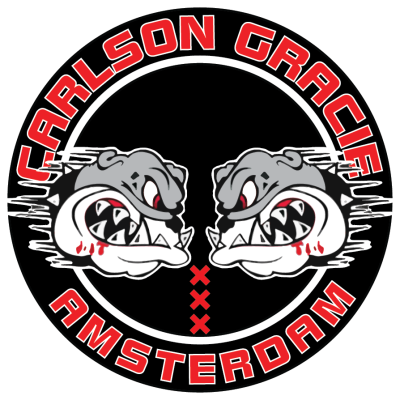 This seminar is closed to Carlson Gracie Amsterdam members only.